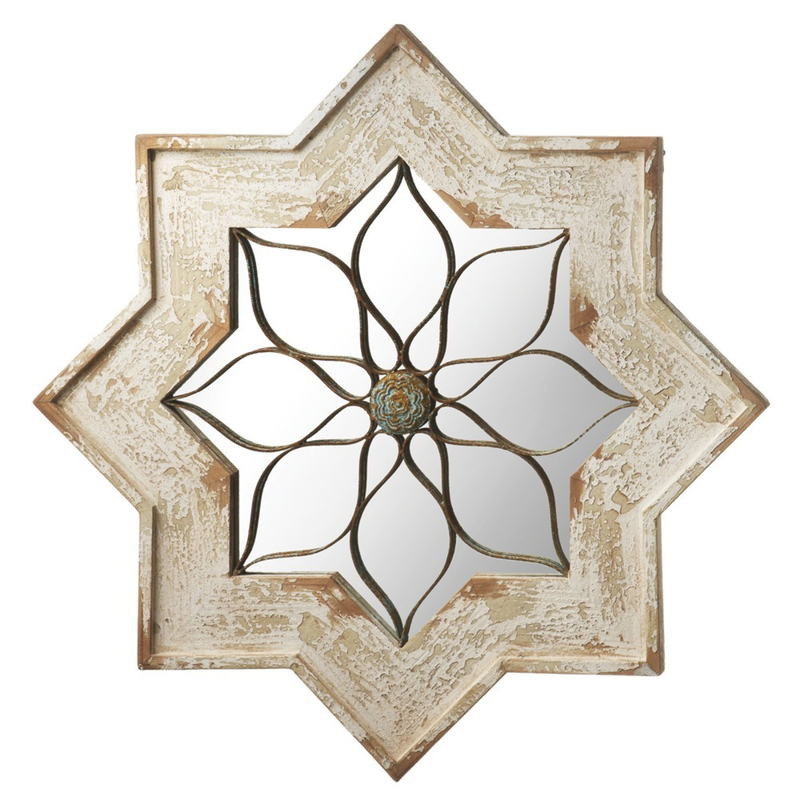 Give your decor rustic flair with the Whitewash Star Wall Mirror. These coastal mirrors showcase a pretty floral design surrounded by a distressed, star-shaped wood frame. Ships from the manufacturer. Allow 2 weeks. Cannot express ship. For even more offerings, we encourage you to take the occasion to look at our extensive selection of coastal mirrors at Bella Coastal Decor now.